Can any team beat the Warriors? Sure — but it’s highly unlikely to happen, according to the odds at the sportsbooks and prediction model by the basketball statisticians at FiveThirtyEight. The Golden State Warriors (-220) enter the 2019 NBA Playoffs as the heavy favorite to make their fifth consecutive appearance in the NBA Finals and take home a fourth title in the past half decade. But how big of a favorite are the Warriors? Well, when converting their odds to an implied probability, you get 68.73%, which is insanely high for a 16-team double-sided bracket. In fact, the odds for the next closest team — the Milwaukee Bucks (+500) — convert to an implied probability of 16.67%, which isn’t that close at all. When looking the 2019 NBA predictions model found on FiveThirtyEight, the Warriors have a 60% chance of winning the NBA Finals, while the Bucks have a 16% probability. Other than the Warriors and Bucks, the Toronto Raptors at 15% and the Houston Rockets at 5% are the only two teams that have more than a 1% chance of being crowned the 2019 NBA champions. On the flip side, the Los Angeles Clippers and the Detroit Pistons enter the playoffs as massive underdogs with odds at +25000, and a $100 bet on either would win $25,000 if either they won the championship because every other team came down with the flu or everyone else decided to retire unexpectedly. But hey, when you’re given 0.40% chance to win it all, the ball needs to bounce your way multiple times and in several different ways — both on and off the court. 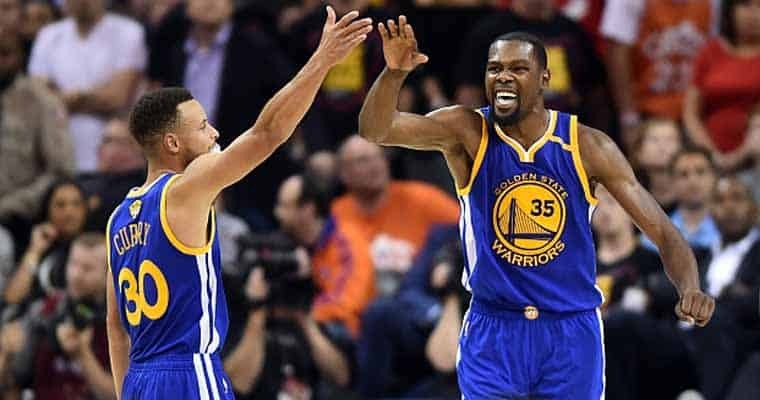 Below you can find the complete set of betting odds for all 16 teams and their chances to win the title at the end of the 2019 NBA Playoffs.